The full text reads: when in doubt, turn to nature. it will heal your soul. 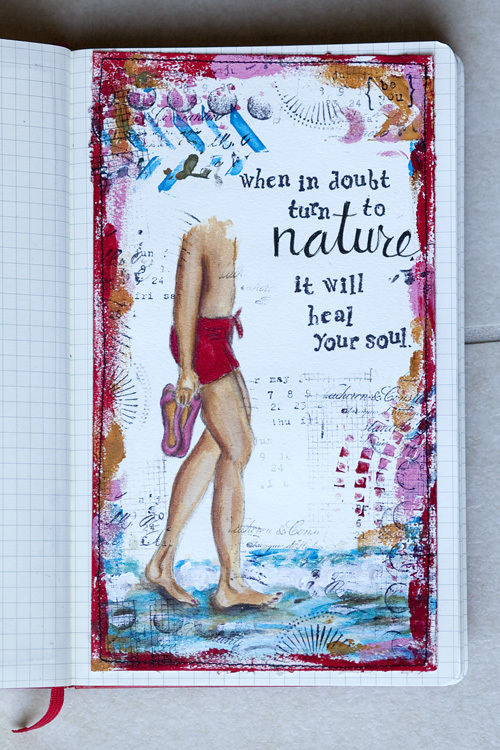 I am creating art journaling pages each week for now. You can read more about this project here. This set uses the Fabriano Roma papers. Very true – something I remind myself of often.